Wooden Dinosaur is an original six-piece folk ensemble with members from throughout New England. The band makes music that is deeply American, yet forward thinking. Built around the songs of Brattleboro-based guitarist Michael Roberts, Wooden Dinosaur uses a diverse array of instruments – fiddle, upright bass, drums, trumpet and euphonium – in its tasteful arrangements of original material. Though “indie-folk” is the label most often applied to this music, alt-country, blues, old time, and jazz influences are woven into the band’s signature sound. 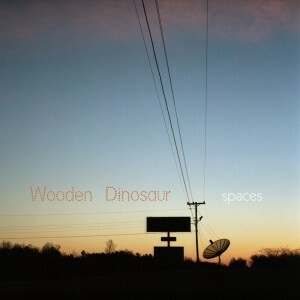 Wooden Dinosaur’s debut album, Nearly Lost Stars (2010), garnered both regional and national attention, and cemented the band’s reputation as a fresh voice in the New England Americana scene. Since then the group has toured throughout the Northeast and shared the stage with some of the country’s most exciting new acts, including The Devil Makes Three, Brown Bird, The Low Anthem, Joe Pug, Rusty Belle and David Wax Museum. The band spent 2011 working on their second full-length album, Spaces. Much of the recording for the new album took place at a house in Nelson, over July 4th weekend. Recorded in between family-style BBQ’s and trips to the local swimming hole, the album reflects the group’s dedication to a diverse array of American musical traditions. Opening the show will be Dollar General, the new project from Vermont composer and guitarist Michael Chorney. This folk-jazz group features the rhythm section from Anais Mitchell’s acclaimed Hadestown Orchestra, along with pedal steel player Asa Brosius. The band plays Chorney’s original songs, which show jazz, country and folk influences, and reflect Chorney’s unique approach to the craft of songwriting.